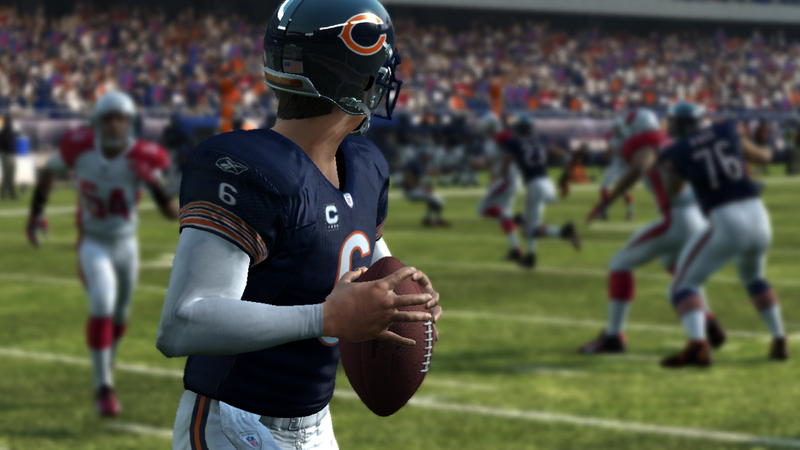 We are just a few weeks away from the release of Madden 12. With gamers ready to get back to the virtual gridiron, here are the overall ratings for each team that has been released. Keep in mind that these ratings are without the recent free agent acquisitions. Thanks to the NFL Lockout, Madden 12 will be shipping with out of date rosters. That means when you open up Madden 12 and put it into your 360 or PS3, it will not have any of the free agent moves done. You’ll need to download the online roster update which will be ready the second the game is released. Since this is a Chicago site, the Bears are rated as an 85 OVR. 7 spots lower than the Super Bowl Green Bay Packers who are a 92 OVR. I’ll take that. Wait a second here…Chicago Bears….85 OVR….1985….Super Bowl….I like what I see. SeattleSportsCentral.Com has compiled a list of the overall team ratings for Madden 12. Let us know in the comments if you agree with your team’s rating! First of all, the Steelers could be a little bit higher overall. They lost the Super Bowl, but that was just a bad game for the Steelers to begin with, and they still almost won. That being said, they should be ranked 91, and only because they lost the Super Bowl. And, how come DeSean Jackson is so much better than Mike Wallace, did you people not watch football last year, what a joke.